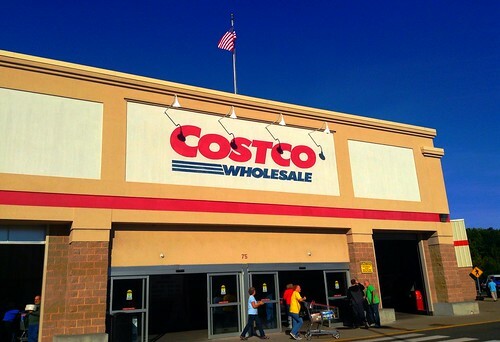 News said Costco will break up its co-branding relationship with American Express. The Costco American Express card will discontinue after April 2016. I worked a small part in a similar co-branded credit card deal. I will share some information about the general structure of a co-branding relationship. A co-branded card carries the brand of a partner separate from the bank behind the card. The partner makes it more appealing to the target customers. Costco American Express, American Airlines MasterCard, Sierra Club Visa are all co-branded cards. They carry the brand of Costco, American Airlines, and Sierra Club respectively. The co-branding partner is typically a large merchant, such as an airline, a hotel chain, or a retailer. It can also be a special interest group, as in the Sierra Club example. The bank behind the card, called the issuer, is ultimately responsible for the card. It decides who is approved for the card, the credit limit, and the interest rate. If the customer doesn’t pay, the issuer is on the hook for writing off the bad debt. What’s in it for the issuer to do co-branding? The issuer gains a sales channel. It acquires a book of customers who otherwise may use cards from other banks. American Express says the Costco cards represent 20% of its loans and 10% of all American Express cards in circulation. When Costco markets a different co-branded card, American Express is expected to lose a big chunk of those customers. American Express’s stock price dropped nearly 10% in two days after the news of the breakup. What’s in it for the co-branding partner? Many folds. For each customer the co-branding partner brings to the issuer, the issuer pays a sign-up bounty to the partner. It can be $100 or more. That’s why you see signs and special desks in the stores, flight attendants making announcements and passing out applications, and cashiers asking you at checkout. In many cases the employee who signs up the customer gets a special bonus called a spiff. When a customer pays by a credit card, the store normally pays a fee to its bank, the bulk of which ultimately flows to the card issuer. When a customer pays by the co-branded card at the partner that markets it — using Costco AmEx at Costco or using American Airlines MasterCard at American Airlines — the partner gets a rebate from the issuer for these so-called “on us” transactions. The credit card fee is often knocked all the way to zero by the rebate. Because people who buy more at that partner tend to get attracted to the co-branded card, and because they often get double points for using the co-branded card for “on us” transactions, if the partner can increase the volume of “on us” transactions, it will dramatically lower its overall credit card fees. If the customer ends up paying interest or late fees to the issuer, the co-branding partner gets a revenue sharing kickback from the issuer. If the customer uses the co-branded card at other places, the co-branding partner also gets a percentage of the fees earned by the issuer. American Express said 70% of the purchases on Costco AmEx cards are made outside Costco. Costco likely gets a portion of American Express’s fees on those 70% in addition to a portion of the interest and late fees paid by the customers to American Express (not all customers pay in full every month). When you count the signup bounty, the fee rebate for “on us” spending, and the revenue sharing, the partner’s cost for accepting a co-branded card is negative. It will do all it can to push you to apply for the co-branded card, use the co-branded card at its locations, and use it elsewhere. Costco goes one step further by only accepting American Express credit cards. This exclusivity no doubt generates additional monetary value from American Express. The co-branding partner also gets aggregated data from the issuer on the customers’ demographics and their shopping behavior. The data help the partner market its products. Because the co-branded cards often give special discounts or earn double points for spending at the co-branding partner (although it’s not the case for Costco), customers with a co-branded card tend to spend more. They already spend more at the co-branding partner before they got the card. They will spend even more after. Who’s in the driver’s seat in a co-branding relationship? Whoever has the most sway over the customers. In most cases it’s the co-branding partner. Customers are signing up for the co-branded card because of their relationship with the partner. The partner can shop among banks for one that will pay it the most in terms of the sign-up bounty, fee rebate, and revenue sharing. Costco is switching because Costco wants more money from American Express than American Express is willing to give. Most customers with the current co-branded card will likely follow Costco to the new bank Costco chooses. Some customers will keep the American Express card as a regular AmEx card, although Costco won’t accept it after April 2016. If after knowing all these you get the feeling that customers are being herded by Costco to the highest bidder, that’s just business reality. Whoever can pull the strings of a large number of consumers has power. Such power is worth a lot of money. Costco is just maximizing the value of its influence. The Costco AmEx card isn’t the best AmEx card to use at Costco or elsewhere, but customers still signed up in droves. I predict the new Costco co-branded card won’t be the best card to use at Costco or elsewhere either. Harry: thanks for the informative article. I was intrigued by the comment “The Costco AmEx card isn’t the best AmEx card to use at Costco”. I thought it was the only card, Amex, or otherwise, that could be used at Costco. Perhaps there is a debit card Costco accepts that it better for the user than the Costco Amex? Or am I missing something else? The Fidelity Amex card is the best card to use at Costco. It pays 2% back on Costco purchases rebated monthly in real cash, where the Costco card only pays 1% and only issues rebates yearly rebates only spendable at Costco. George – Think how many customers signed up for the Costco AmEx card because they didn’t know they could use a different AmEx card at Costco for twice the cash back. Artie – The annual rebate check can be redeemed for cash. Think how many customers didn’t know that either. For me it’s convenient to use a credit card at Costco. I buy gas there and my in store purchases run to several hundred dollars. So cash is not convenient. Using the co-branded card reduces by one then number of cards I carry around. Otherwise I need my membership card. And when Costco no longer has the co-brand with AmEx, Amex will see me gone. So the bank and the retailer benefit, but what about the customer? I don’t shop at Costco, so this change makes no difference to me. In taking the co-branded card, you give up even more of your personal data than you would otherwise, which is undesirable for me. Most co-branded cards that I have been offered carry higher interest rates than the handful of cards I do carry. A few offer reward points or other inducements, but my favorite card has a generous money back program, so Ill stick with it, thank you. I was one of those that initially didn’t know that I could use non-Costco AMEX at Costco. It was probably 5 years later that I found out. Does anyone know if AMEX allows existing cardholders to apply for the Fidelity Amex 2%? AMEX will not let me apply for another AMEX rewards card, the “Blue Cash Preferred® Card from American Express”, because I’m an existing cardholder (with Costco). What, seriously? AMEX won’t let you apply for Blue because you already have Costco? Is that really true? Anyways, you can apply for Fidelity AMEX 2% even with Costco AMEX. I know for a fact because I did. BTW, from what I read, Fidelity’s AMEX is not a real AMEX, it is a licensed AMEX through FIA issuer. Licensed is different than co-branded. So maybe that’s why you can get a Fidelity AMEX. Fidelity AmEx is issued by Bank of America’s FIA Card Services. AmEx has no say in who can apply for it. I heard AmEx has a limit of 4 cards for each person. You can have more than one card issued by AmEx, just not more than 4. Maybe close one of the four if you are hitting that limit? Thanks Harry. And by the way, your explanation of how the issuers and merchants pay each other to get a customer’s business was very helpful. Actually I don’t have four cards. Just two in my name, one for Costco and one for Hilton Hotels, with another Costco card in my account that’s in my wife’s name. So just two or three for me, depending on how they count it. The wording seems to imply that no current AMEX member, regardless of number of cards, can apply for that rewards card. That message isn’t telling you that you can’t get the card – it’s telling you that you don’t qualify for the signup bonus (whatever that might be), as you are a current AMEx card holder. Costco’ll find new card partner that we’ll probably be happy with; Amex will probably try to bribe us to stay. We’ll win either way? Now we know the new card will be a Visa from Citi. I updated the article. Yay! It is Visa! BofA Travel Rewards Visa is the best deal, right? By the way, thanks, Harry, for the awesome post on that Visa. Harry, do you have a sense for who is paying for the “earnings” these co-branded cards create. When I apply for a Citi AAdvantage card that gives me a 50K AA mile bonus after spending $3K, does AA just provide that as part of the deal? Or does Citi buy those miles off them? Or is there kind of an indirect quid pro quo…AA provides the miles but that’s offset by the bounty Citi gives AA for the new customer? I guess same question would apply to the ongoing earnings…if every dollar I spend on the card earns 1 AA mile, who is providing that? Citi buys those miles from AA, both the initial bonus and the ongoing rewards. Harry – Thanks for the low-down on co-branded cards. I was wondering what the break down was. Do you have any thoughts to share about the REI (Recreational Equipment, Inc.) card issued by U.S. Bank? The deal is a little different because REI is technically a consumer (member)-owned cooperative, with profit coming back to members in dividends each year. How do you figure it? I have read that “the house always wins” – if the card didn’t make money for the store and the bank there would no deal. Can you explain how the money flows through REI? A co-op is still a business. The relationship with the bank would be the same. REI receives a bounty for each signup. When members use the REI card at REI, REI pays a reduced (or even zero) fee on payment processing. When members use the REI card outside REI, REI receives money from the bank. When members pay interest, REI receives part of it. The only difference between a for-profit business and a co-op is in what the business does with the money.